Fennel (Foeniculum vulgare) is a common herb that many people use for cooking and healing. You can trace this sweet, anise or licorice-flavored spice all the way back to ancient Egypt. 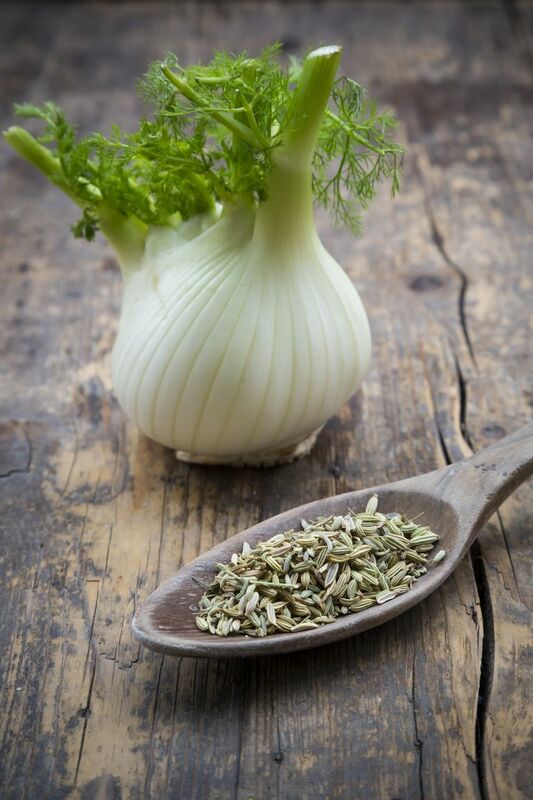 For over 2000 years, fennel has been a treatment for digestive problems and menstrual issues. It is also used by breastfeeding women to stimulate and increase the production of breast milk. But, like any herb or medication, fennel has both benefits and side effects. Here we will explore the safety of this breastfeeding herb and how it works to increase the supply of breast milk. Fennel is believed to be a galactagogue which is something that brings about more breast milk. It's taken as an herbal treatment to help mothers who breastfeed increase their breast milk supply. One of the reasons it may work for some women is that the fennel plant has estrogen-like properties. You can add fennel to your diet by drinking fennel tea, eating it as a vegetable, or using it as a spice to flavor foods. Here are some of the ways fennel is used. As a Vegetable: The vegetable part of the fennel plant can be eaten raw or cooked. You can easily add it to soups or other dishes. As a Tea: Place 8 ounces (1 cup) of boiling water in a mug with 1 to 3 teaspoons of fennel seed. Let it sit for approximately 10 minutes then strain the seeds from the tea and enjoy. If you have them, freshly crushed fennel seeds are preferred. You can drink fennel tea three times a day. As a Herb/Spice: Fennel seeds can add flavor to many recipes, including fish, salads, and sauces. Fennel Seeds: You can chew whole raw seeds. You can also fry or roast them for more flavor. Capsules: Fennel supplements are available in supermarkets, pharmacies, vitamin stores and online. You can also take fennel in combination with other breastfeeding herbs, such as fenugreek, alfalfa, stinging nettle, and blessed thistle. Some of the commercially prepared lactation supplements and nursing teas contain fennel, too. While it does go into your breast milk, fennel is generally considered safe to use while you are breastfeeding. The safest way to take fennel is through food. It is typically well tolerated as an herbal tea, as well. Of course, moderation is the key. If you overdo it, fennel can decrease the milk supply or have other unintended side effects. Fennel may be considered safe while breastfeeding, but it can be dangerous during pregnancy. The small amount in foods such as Italian sausage or bread is not harmful, but fennel consumption should be limited to the foods you eat. You should avoid taking any extra through supplements or herbal teas if you're pregnant. Herbal remedies have been used as medical treatments for thousands of years. And, many of the medications available today are made from herbs. Herbs can be very potent and dangerous. They often have side effects and can even be toxic. For this reason, you should always discuss the use of herbal treatments and essential oils with your doctor, lactation consultant or another herbal specialist, and be sure to purchase your products from a reputable source. Do not use fennel supplements during pregnancy. Fennel may increase the risk of seizure. Therefore, you should not use fennel if you have epilepsy or any other type of seizure disorder. You should also avoid fennel if you take medication for seizures. Be careful and talk to your doctor if you have diabetes or hypoglycemia. Fennel can lower blood sugar levels. Your child may become sleepy after drinking breast milk containing fennel. Use this herb in moderation. Taking too much fennel is believed to do the opposite of what you are using it for, and it may instead cause a decrease in your breast milk supply. Fennel is available as an essential oil. Using the essential oil during pregnancy can be very dangerous. You should also be aware that you should not put it on it on small children. If you put fennel on the skin, it can cause skin allergies or reactions. Does Fennel Really Work to Increase the Supply of Breast Milk? Women have been using fennel to make more breast milk for centuries. There isn't real scientific evidence to prove that it works, but there isn't evidence that says it doesn't work, either. Some women do report an increase in breast milk production with the use of fennel. However, it doesn't seem to work for everyone. Since you can easily incorporate it into your everyday diet, it may be worth a try. If you'd like to try fennel, the best way to receive its benefits is to add it to your diet in the foods that you eat. Preparing and drinking breastfeeding teas is another safe way to take herbs. You just want to be sure to buy your fennel seeds from a trusted source. And, keep in mind that you do not want to use fennel is excess because too much fennel is believed to dry up the body and decrease the breast milk supply. If you have any questions or health concerns, discuss the use of fennel and any other herbal treatments with your doctor, a lactation consultant or an herbal specialist. Brown D. Herbal: the essential guide to herbs for living. Pavilion Books; 2015 Jun 11. Perry R, Hunt K, Ernst E. Nutritional supplements and other complementary medicines for infantile colic: a systematic review. Pediatrics. 2011 Mar 22:peds-2010. Sachs HC. The transfer of drugs and therapeutics into human breast milk: an update on selected topics. Pediatrics. 2013 Sep 1;132(3):e796-809.